FREE!!! Shipping(Via DHL/FedEx) To Country: USA, CANADA, UK, MEXICO, FRANCE, ITALY, GERMANY, SPAIN, SWEDEN, DENMARK, SWITZERLAND, NETHERLANDS, MALAYSIA, BELGIUM, LUXEMBOURG, CHINA, TAIWAN, SINGAPORE, HONG-KONG, SOUTH KOREA. 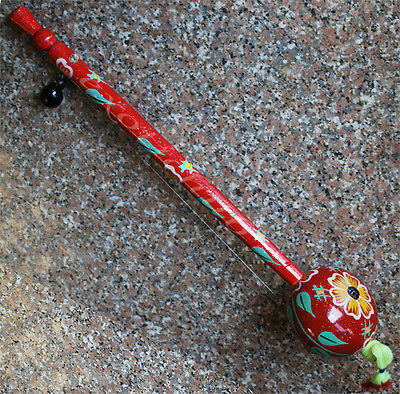 The construction is very simple, it is nothing more than a gourd /wood which has been penetrated by a stick of bamboo. Another piece of bamboo forms the tuning peg. The bridge is merely a coin, piece of coconut, plastic or wood or similar object. The term ektar literally means “one string”, as such the term is loosely applied to a variety of one-stringed folk instruments. This includes such instruments as the tuntun, katho, anand lahari, and gopichand. Note: Designing work on Tumbi / Ektara may be slightly different from the displayed images. The size is approximate. 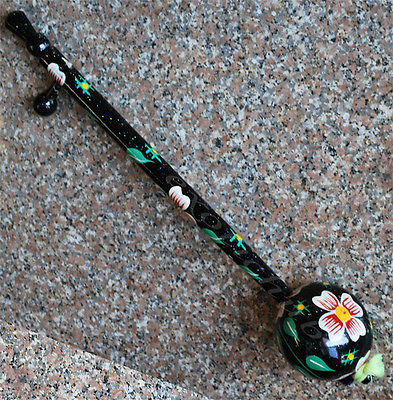 Because this is a handmade product, size can fluctuate up to 3 to 5 CM. The weight is approximate. Because this is a handmade product, weight may fluctuate. Previous: Yamaha Stage Custom Birch 14″ Floor Tom w/Legs HONEY AMBER (SBF1413HA) IN-STOCK!